The FBI is investigating $120,000 in donations to Virginia Gov. 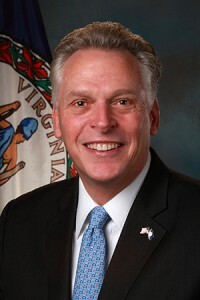 Terry McAuliffe’s campaign and inauguration. The Wall Street Journal reports that the donation were made by Chinese businessman Wang Wenliang. The governor’s attorney said McAuliffe and his staff were unaware of the investigation. Wang’s companies also have donated between $1 million and $5 million to the Clinton Foundation. Posted: 5/24/16 at 8:57 AM under News Story.